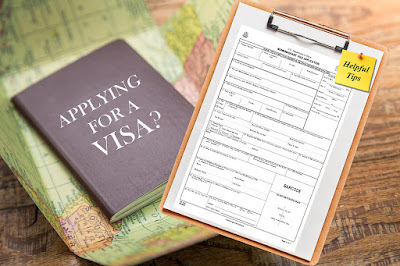 When it comes to US visitor/ tourist visa applications, most Filipinos become apprehensive. With so many requirements to submit and tons of paperwork to accomplish, the process of applying to obtain a visa for many aspiring Filipino travelers and/or immigrants can be intense, stressful and overwhelming. On top of that, tales of long lines, indefinite waiting periods, intimidating interviews and the looming possibility that an application may be rejected add up to prompt a hopeful applicant to give up before he or she could even start the visa application process. According to a news report, the US Embassy in the Philippines approves more than 1,000 visa applications on a daily basis yet the fear of rejection among Filipino applicants remains a looming problem. In many instances, this sentiment becomes a trigger for many applicants desperate for a visa to defy the system by resorting to illegal and deceptive tactics. One of the most popular beliefs among Filipino visa applicants securing an approval involves money in the bank and lots of it, too. To these applicants, having a huge bank account guarantees instant visa approval and so they strive hard to put money in their bank accounts shortly before their visa application interview. In other instances, applicants try to obtain letters of endorsement or written invitation from relatives, friends, and acquaintances from the specific country that they’re trying to obtain a visa for. These applicants believe having “sponsors” and a valid reason to travel will warrant them a visa. Of course, those are mere speculations. According to a US Embassy official in Manila, the consuls do not discriminate. All applicants are treated equally during the entire visa application process whether they have huge amounts of money in the bank or not. The embassy’s primary concern is not the money but the applicant’s “ties with the Philippines” that will make him or her come back after visiting the United States. Be on time. There is nothing more disrespectful and inconsiderate than an interviewee showing up late for an interview. Look presentable just like how you would present yourself during a job interview. Have a valid reason for traveling to another country and an even stronger reason to come back to the Philippines. Make sure all your documents including required photos are with you during the interview and neatly organized for easy access. If you need affidavits and notarized documents as required, be sure that you have obtained them accordingly prior to the date of your interview. For fiancé visa applicants, for example, proof of communication and romantic relationship such as photos and written correspondence including emails must be part of your documents as well. Relax. If you’re confident that you’re sincere and not hiding anything from the interviewer, you should be fine. And if you have complicated issues that simply reading articles and fact sheets from the Philippine embassy and other pertinent websites cannot take care of, it is always advised that you seek legal help. A licensed US immigration lawyer in Manila will be your counsel that will guide and help you during your visa application especially when your situation and circumstances need a stronger legal intervention.